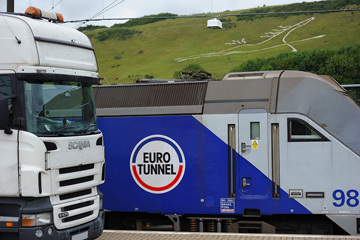 Since 1st January 2014, PIQUE Ferry Agency is also official partner of Eurotunnel, the operator of the rail link beneath the English Channel between France and England. By choosing the fastest way to cross the Channel, customers benefit from valuable savings in drivers hours, vehicle downtime and fuel costs. Located directly on the motorways A16 at Calais and M20 at Folkestone, Eurotunnel terminals are easily accessible and save 24 km on the road each way compared to Dover-Calais operators. Eurotunnel Le Shuttle Freight operates 365 days a year, 24 hours a day and offers up to 6 departures every hour in each direction! Customers can reliably plan their delivery. Offering a maximum level of security, the Eurotunnel Le Shuttle Freight service provides fast and efficient controls from the departure terminal. Vehicles can continue their journey and rejoin the motorway with the fastest possible transit time. Fully committed to respect the environment and build on its green credentials, customers can be reassured that they are using the most environmentally friendly way to cross the Channel. The partnership and co-operation with Eurotunnel offers customers of PIQUE Ferry Agency a very interesting complement to the ferry routes to and from England. The ability to book Eurotunnel or ferry, either individually or in combination, offers our customers extreme convenience and flexibility. 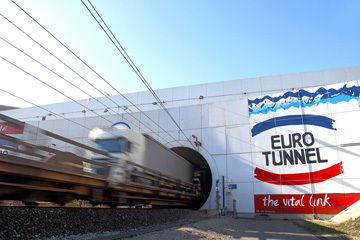 Further information about the VP product of the Eurotunnel can be found here or contact us personally.